For many families, sons and daughters are scattered throughout China, each chasing their dreams of a better life. The Lunar New Year is one of the few times a year the whole family has the chance to gather together. For the most important holiday of the year, workers are usually granted around ten days off from the daily grind. Hundreds of millions journey across the land to reunite with their loved ones, making it the largest annual mass migration in human history. I had arrived in the People's Republic in the middle of the Chinese New Year festivities of 2009. It was only fitting that two years later my parents would visit me during this time of joyous celebration. We went to several temple fairs around Beijing. Most of the temple fairs take place in parks and not temples. In Ditan Park there were performances of traditional folk dances and stalls selling snacks and tacky items. The crowds were thick. There was even a marriage market, where parents could post ads proclaiming how wonderful their children were for potential suitors and browse through the current offerings. Another good temple fair was held at Grand View Garden, which is a replica of the imperial garden Daguanyuan. Originally created as the set for the TV series "A Dream of Red Mansions", it was later converted into a permanent tourist attraction at the behest of the local government. 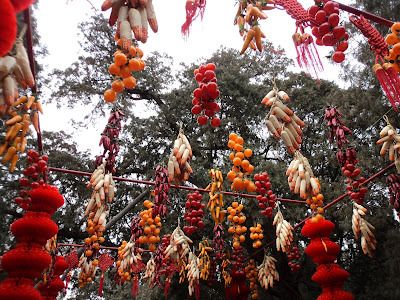 As many scenic spots in China have been reconstructed from the ground up in the past twenty years, this fact did not lessen the beauty of the magnificent gardens. 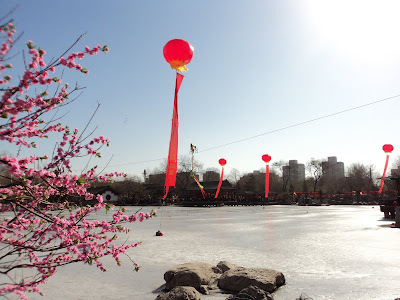 The lake in the middle was frozen solid, with cherry blossoms blooming on its fringes. 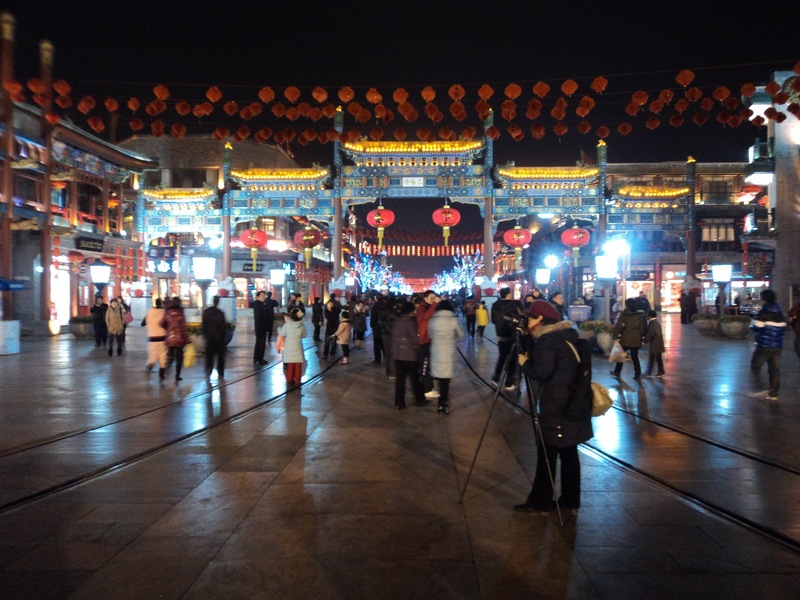 The walking street of Qianmen near Tiananmen Square had been decorated from one end to another with red lanterns. 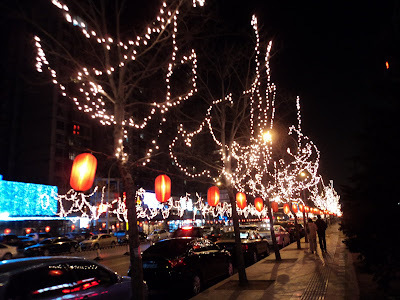 The fireworks exploded in the air all around us as we strolled along the street, dropping in for dinner at Quanjude Roast Duck Restaurant. The original outlet of this Beijing instituition opened its doors to the public in 1864, becoming the first to offer Peking Duck to the non-imperial masses. Chairman Mao declared the restaurant was so good that it must remain open for all eternity. Pele, Yasser Arafat, and Fidel Castro are among the other international celebrities who have since visited the grandiosely decorated establishment.